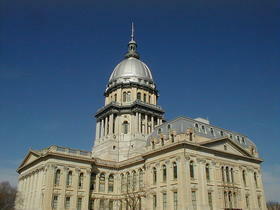 Illinois lawmakers' two-week, fall veto session has come to an end. Gov. Bruce Rauner used his veto pen on 37 bills this second half of the General Assembly's two-year session. Legislators successfully overrode just one of them -- a relatively minor measure having to do with Chicago fire fighters' pensions. Leaving the rest effectively dead. That includes automatic voter registration, higher wages for caretakers of the disabled and legislation that will leave a $215 million shortfall in the Chicago Public Schools' budget. Rauner just Thursday suddenly vetoed the CPS bill, so the House technically has 15 days to reverse him and make it law. Instead, Rep. Lou Lang announced just before 7 p.m. that evening "the House stands adjourned til Jan. 9, at the hour of twelve noon. Everyone have a wonderful holiday." A spokesman for the House Speaker says there aren't plans to return before then, because Democrats don't have the votes to override Rauner. Legislators can always be called back to Springfield. 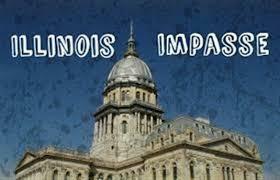 But as of now, it looks like Illinois is set to begin the new year without a budget. The current, stopgap version runs out at month's end. Legislative leaders are set to meet with the governor again this weekend. The state's largest government labor union is asking a St. Clair County court to force Governor Bruce Rauner back to the bargaining table. 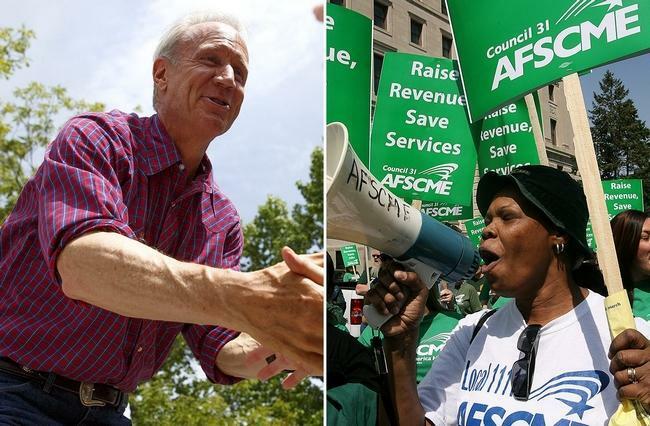 AFSMCE has filed a lawsuit on behalf of some 30-thousand state employees whose terms of employment, as of now anyway, are at Governor Rauner's whims. Illinois will begin drug and alcohol testing for members of state government's biggest labor union. It would only apply to employees suspected of being impaired on the job.